Passes valid for 30 days from the date of purchase. Remember, parents are always FREE! Socks and a signed waiver are required to play. Admission is $12+tax per child. Parents are FREE. Socks and a signed waiver are required to play. Easter Eggstravaganza Pop In Play! 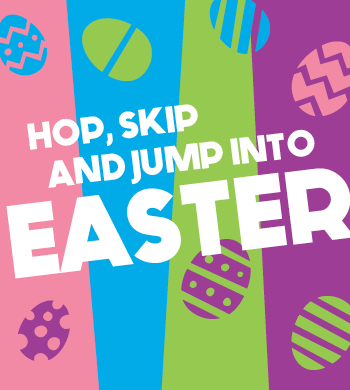 Hop in for an Easter Egg Hunt! No coupons or discounts are valid for this event. 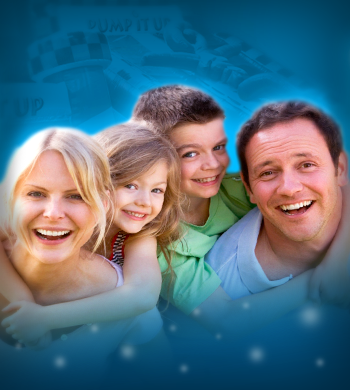 Looking for a date night but don't know what to do with the kids? Drop them off with us! 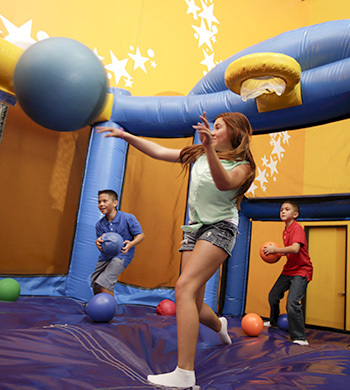 We jump and play in the arena on our various inflatables. We eat pizza dinner and have a special dessert. We color, create and play games while our food is settling. THEN we will end the evening with a GLOW party with music and dancing. If the kiddos are tired, they are welcome to watch a movie to settle down. When you pick them up they will be tired, fed and ready for bed! Ages potty-trained and up. (Strictly enforced). Reservations are required by noon that day. Socks and a signed waiver are required for this event.